Martha Romero holds a bachelor’s degree in English Literature from Loretto Heights College (now part of Regis University) and a Ph.D. from the University of Colorado. 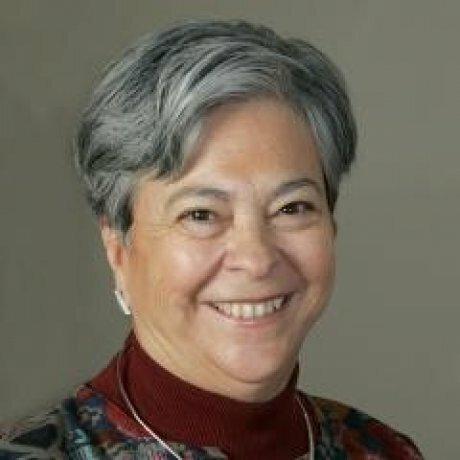 Romero was the Founding Director of the Community College Leadership Development Initiatives (CCLDI) at Claremont Graduate University. As a faculty member, Dr. Romero taught graduate seminars in organizational development at the University of Colorado and in the Community College Leadership program at the University of New Mexico and now at the Claremont Graduate University. She served as Vice President for Instruction at Pikes Peak Community College, and as President/Superintendent of the Siskiyous Joint Community College District consisting of two small, rural community college campuses in northern California. At the policy level, Dr. Romero has been a member of the senior management team responsible for policy analysis and development for Western Interstate Commission for Higher Education (WICHE). She also served as Academic Affairs Officer on the Colorado Commission on Higher Education, a state coordinating board with some governance authority; and the Council of Graduate Schools in Washington, DC, as a federal policy intern for what later became the dean in residence program. Nationally, she has been a consultant to businesses, foundations, and institutions of higher education. She is currently working with the Achieving the Dream Lumina Foundation Project as a coach and as faculty to the their Trustee Training Seminar,, the Good Work Project at the Drucker/Ito School of Business at Claremont Graduate University, and the New Mexico Association for Community Colleges. She is an expert in Strategic Planning and Leadership. She has established programs for leadership development in a variety of settings, including developing training programs for boards of non-profit organizations including university and college boards of trustees. For eight years she coordinated a policy study program for Colorado educational mid-level administrators under the auspices of the Institute for Educational Leadership, based in Washington, DC. For eight years she served as faculty to the League for Innovation Executive Leadership Institute, Asilomar Leadership Skills Seminars for women professionals aspiring to leadership positions in the California Community Colleges, Leadership Siskiyou County which she founded for local agency directors and business executives while she was the community college president in Siskiyou County and the Community College Leadership Development Initiatives Leadership Academy that trained teams consisting of presidents, senior administrators, faculty and staff in team leadership. Dr. Romero has authored many policy reports, journal articles and book chapters on leadership, civility on college campuses, and the use of research in decision-making.